Yii with the Force awakens coming within a few weeks I think we could discuss anything about anything star wars related ◙3◙. 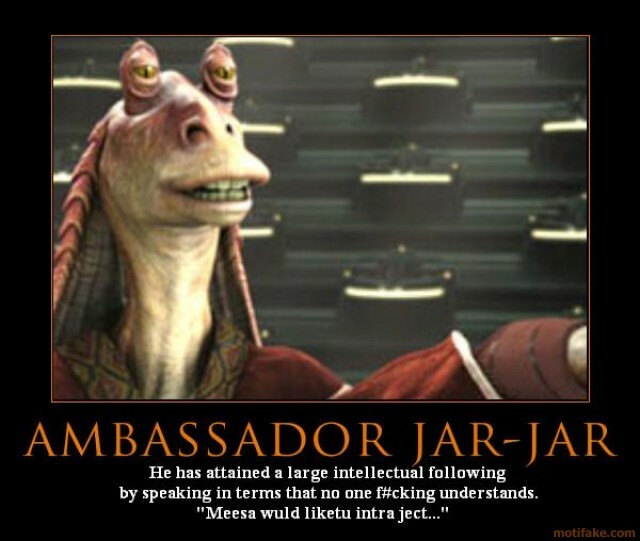 How about that Jar Jar Theory? "Mesa finish what u started Ani "
Last edited by Gene2142 on Mon Nov 09, 2015 8:09 pm, edited 1 time in total. Haha, I wouldn't be surprised. Didn't he became an ambassador or something? Also if someone likes star trek and star wars, I've got the perfect movie.